Overwhelming traffic on the fledgling Beats Music service has left many new users on the outside looking in. Excessive demand and use of the service, which became operational Tuesday, led to connectivity issues and new users being unable to register for the service. That led the company to put into operation "a gate" that will slowly allow new users to sign up and claim their Beats Music name. "We were able to still register people so we don't turn them away at the door," said Beats Music CEO Ian Rogers. "We just don't put them into the main service so they don't have a bad experience. And then we can email them after and say 'All right, come on in'." Rogers hoped that prospective users would be patient, as early hurdles often accompany new online ventures, he said in an interview with USA TODAY. The company's technical team is working on the problems and access to new users will begin as soon as possible, he said. And any users who register this week will have their free 7-day trial period extended to 14 days. "Thankfully, we had a great response," he said. "With all those people coming in, we had a couple of issues that we just couldn't have seen in the beta period." Rogers would not say how many had signed up for the service so far. But the music service has been highly anticipated and netted the top spot among music apps in Apple's App store, as well as No. 2 free overall app (an Android app is also available; with a Windows version due Friday). Celebrity involvement has helped drive interest. In recent weeks, postings began cropping up on social media from musicians such as Pitbull, Eminem and Pearl Jam suggesting that people "Claim Your Name" on Beats Music. Many of them were using the system as part of the beta testing. "The week before we launched you saw tweets from everybody from LeBron James to Will.i.am who had been playing with the app early," Rogers says. "But you are still relatively limited (with a beta test) and it's not the type of volume you get when you open the door ... It's not unique what we are experiencing here. It's a result of the fact that we have something that is highly anticipated and it's a big jump from a small beta and going live, and going live in a big way." 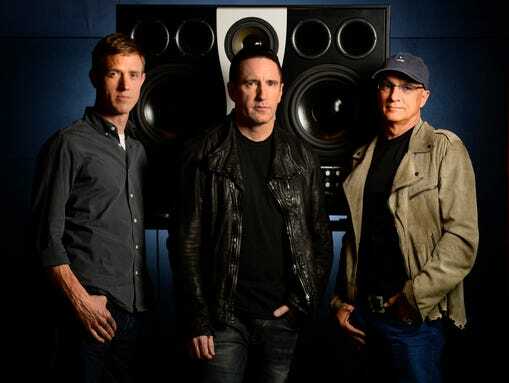 Portrait of Beats Music's Ian Rogers, Trent Reznor and Jimmy Lovine at the company's Santa Monica offices. A music service was the logical next step for Beats Electronics co-founder Jimmy Iovine has said. "Our service will be of service," Iovine told USA TODAY. The Interscope Geffen A&M Records chairman and Dr. Dre founded Beats Electronics in 2008. Beats Music address the situation Wednesday afternoon on its blog and on Twitter, where roughly as many comments had praised the service as complained about the inability to connect. 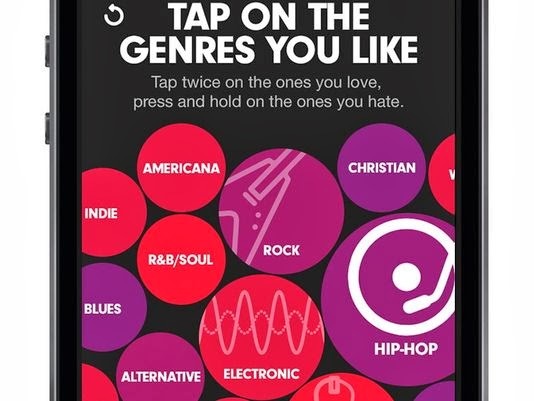 "We've been humbled by the outpouring of excitement for Beats Music. We know there's a delay in bringing new users onto the service…The team is working around the clock to resolve this as quickly as possible, while maintaining service for those already using the service… Thank you for your patience. We'll be in touch as soon as we have an update," the service said in a series of three tweets.